Brandon LaFell-WR-Panthers- He really impressed Ron Rivera, Carolina’s coach after his six catch-90 yard performance on Sunday. “He’s developing into a fine receiver”, said Rivera. We liked that he was targeted eight times and are really high on his 17.2 YPC average over the the first two weeks. Owned in 50% of leagues, he is a must add if you can still get him. Brandon Gibson-WR-Rams-There is some good news-bad news that comes along with this 25 year old receiver out of Waskhington St. The good news is that he has two touchdowns in two games and should have had a third had coach Jeff Fisher challenged the ref’s blown call last week vs the Redskins. Although he seems to be getting a nice share of Red Zone looks, the bad news is that he has only been targeted eight times through two games. In deeper leagues he’ll make a nice WR3 option & is only owned in 12% of leagues. 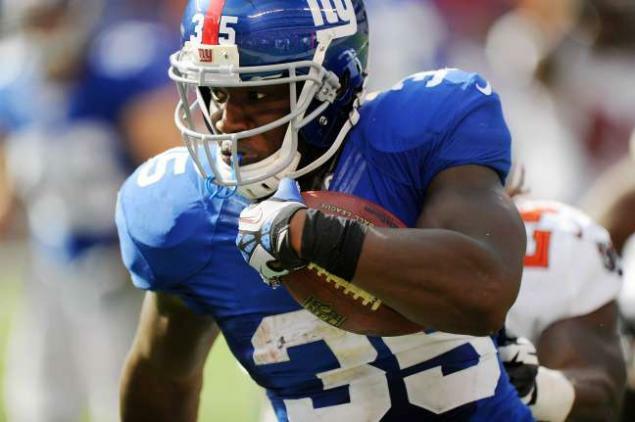 Andre Brown-RB-Giants- In the absence of RB Ahmad Bradshaw (neck) for Thursday’s matchup against Carolina, Brown will get the start after filling in so well last week vs Tampa Bay when he rushed 13 times for 71 yards and a touchdown. He also added a 2-point conversion and had two catches for 19 yards. The Panthers give up an average of 140+ yards per game which makes Brown an excellent Flex play in all formats. He is available in around half of all leagues. Matt Cassel-QB-Chiefs- With Cassel, the ‘6’s are wild! His contract made him a $60 million dollar man, he currently has the sixth most passing yardage in the NFL, and he’s only owned in 16% of leagues. Against the Saints this week, Cassel will be forced to take to the air once again as he did vs Buffalo last week when he was 23-42 302 yards with 2 TDs and 1 INT. Realistically he’s a decent QB2 and is capable of putting up some fine numbers. Dennis Pitta-TE-Ravens- An unbelievable 23 targets in two games have moved Pitta ahead of TE Ed Dickson (7 targets) in the Ravens depth chart. To date he has 13 receptions for 138 yards and a touchdown and looks to be a solid TE1 this week when the Ravens will take on the Patriots. As he’s owned in 50 % of leagues, a good alternative pickup would be TE Scott Chandler from the Bills. He has 91 receiving yards and two scores in two weeks and is only owned in 20% of leagues.